Editor’s note: This article is part of an ongoing series that looks at the growing legal marijuana industry and its effect on the black community. But very few of the people in the pages of videos appear to be people of color. “It’s time for us as a community to embrace this plant and understand what it means. We need to start helping our children,” says activist and entrepreneur Wanda James. She is the African-American co-founder and CEO of the Colorado-based dispensary Simply Pure, and she thinks blacks are missing out on what she says are the major medical benefits of marijuana. In Washington, D.C., where medical marijuana was first approved in 2010, a report (pdf) from May notes that “it is important to remember that the substance does have legitimate medical uses.” It cites 1999 research from the Institute of Medicine reporting that weed is effective in controlling some forms of pain, alleviating nausea and vomiting due to chemotherapy, treating wasting due to AIDS, and combating muscle spasms associated with multiple sclerosis. It confirms that marijuana low in THC­—or tetrahydrocannabinol, the chemical that causes the high—has “shown promising results for managing seizures in children,” and that research suggests marijuana may be helpful for everything from Alzheimer’s disease to asthma, arthritis and glaucoma. The Centers for Disease Control and Prevention cites serious health disparities for African Americans, including an increased risk of heart disease, high blood pressure, HIV/AIDS, diabetes and several kinds of cancer. Some marijuana-medical experts, such as Chanda Macias, Ph.D., an African-American cellular biologist, are trying hard to get blacks to take advantage of the ways the drug could help deal with some of those problems. But she says that the challenge is getting past the negative impact that weed has had on communities of color. In some states where medical marijuana is allowed, Macias notes, some employers still do drug testing for weed and other illegal substances. That means people of color who might be potential patients could be blocked from entry-level positions and lose a chance of employment. But Macias says that there are several strains, and different uses of marijuana, that could help mitigate health problems suffered disproportionately by African Americans, including diabetes, heart disease and cancer. She says that she has helped veterans of color suffering from post-traumatic stress disorder and insomnia, cancer patients suffering loss of appetite from chemotherapy treatments and HIV/AIDS patients who need pain management. 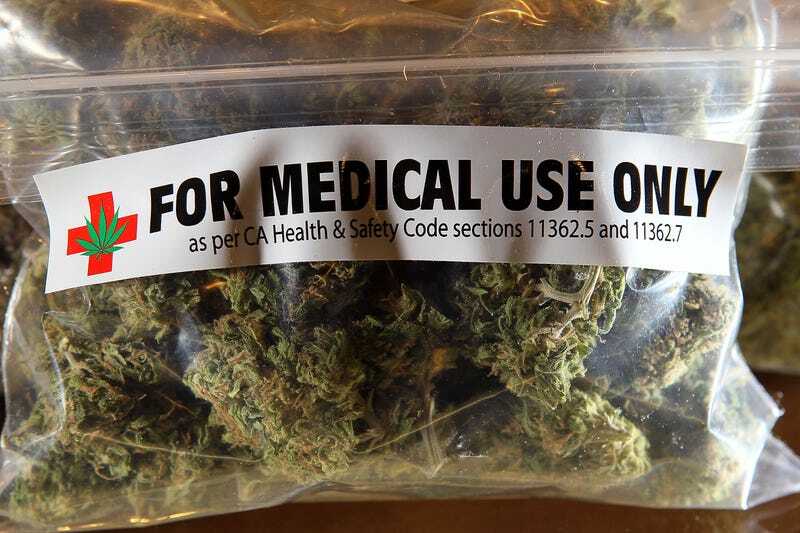 Marijuana can be smoked, vaporized, and used in edibles and as a topical treatment. Macias says that cannabidiol, or CBD—not the THC part of marijuana that causes the high—causes an anti-inflammatory response that can help with arthritis. She explains that strains higher in CBD can be used to treat epilepsy or multiple sclerosis. Macias and other medical-marijuana experts add that people using weed to deal with ailments don’t have to end up sitting on their couches, too stoned to deal with their everyday lives, as seen in a variety of anti-drug television commercials. At the same time, the agency expanded the number of DEA-registered marijuana manufacturers, which will provide researchers with a more robust supply of marijuana. The agency says that will allow more people to register with the DEA so that they may grow and distribute weed for Food and Drug Administration-authorized research purposes. The agency says that it is committed to working with the FDA and with the National Institute on Drug Abuse to facilitate research on weed and its components. The FDA has a patent, No. 6630507, on cannabinoids, which declares that they “have been found to have antioxidant properties … [and] particular application as neuro-protectants, for example in limited neurological damage following ischemic insults, such as stroke or trauma.” It goes on to say they can be used in the treatment of Alzheimer’s, Parkinson’s disease and HIV dementia. But DEA spokesman Melvin Patterson insists that the reasoning behind not rescheduling marijuana is quite different. There are government-approved clinical marijuana trials going on right now, including through the California-based nonprofit Multidisciplinary Association for Psychedelic Studies, which received a $2.156 million grant from Colorado’s Department of Public Health and Environment to test the use of botanical marijuana in treating military vets with PTSD. There are doctors who are skeptical about the benefits of medical marijuana, according to Shawnta Hopkins-Greene. She’s CEO of the Washington, D.C.-based CannX LLC, a physician-referral service that has seen about 6,000 patients since 2014. Hopkins-Greene and Macias are going into a partnership aimed at engaging communities of color—doctors and patients alike—in this multibillion-dollar industry. They are moving into other states, including Maryland, Pennsylvania and Ohio, to provide networks of physicians for marijuana referrals and to convince people of color that through partnerships, they, too, can be involved in the weed industry. That includes having African Americans take advantage of what many advocates see as clear, positive outcomes for people battling many ailments that affect communities of color. She says the myths about the use of medical marijuana need to be dispelled because it can really help people feel better.